Sponsored post by Mirum Shopper. All opinions are my own. Don't we all love a great salad with tasty ingredients? 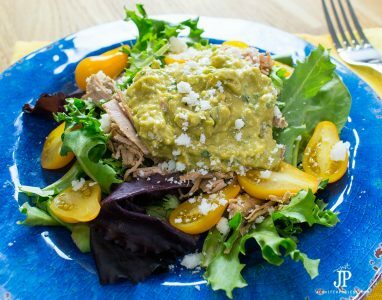 Dark greens, delicious vegetables and fruit, well-seasoned meat all make this shredded pork Mexican salad worth drooling over! With summer produce at the height of ripeness, now is the time to enjoy a delicious salad for any meal. 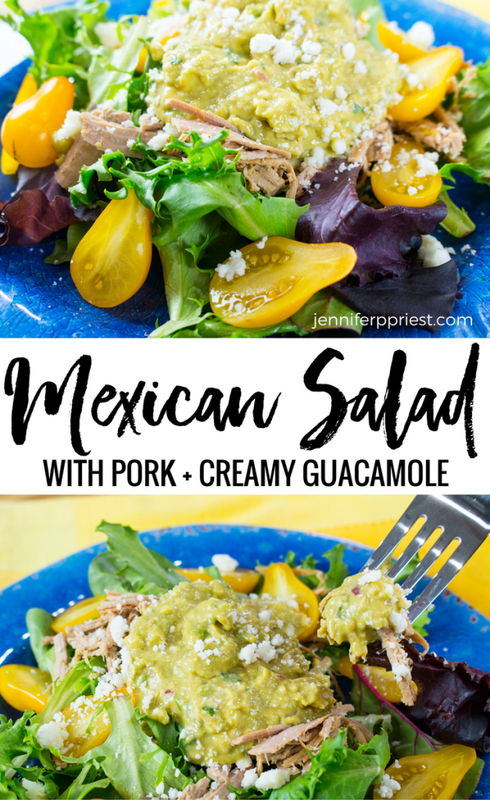 Making this delicious pork salad is easy with Walmart – they carry all of the ingredients I used, including Knorr® Tomato Bouillon with Chicken flavor and Best Foods® Real Mayonnaise to make the creamy guacamole for this recipe. This Mexican salad is a great lunch after making the pork street tacos I shared yesterday. 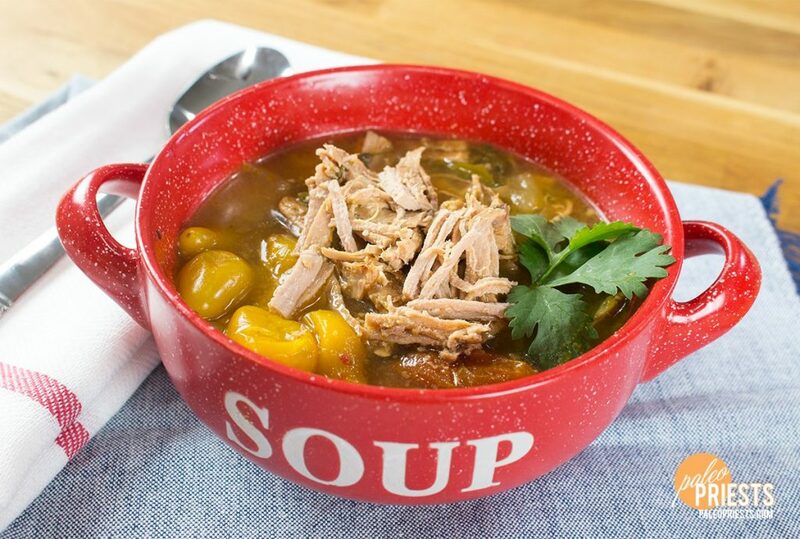 Both recipes use the “kitchen sink” slow cooker pork loin recipe from our sister site, PaleoPriests.com. 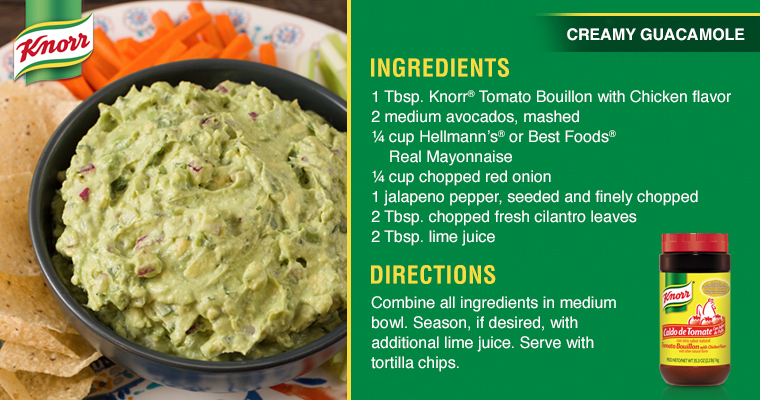 Serve the salad with a couple of lime wedges for an added kick at the end. 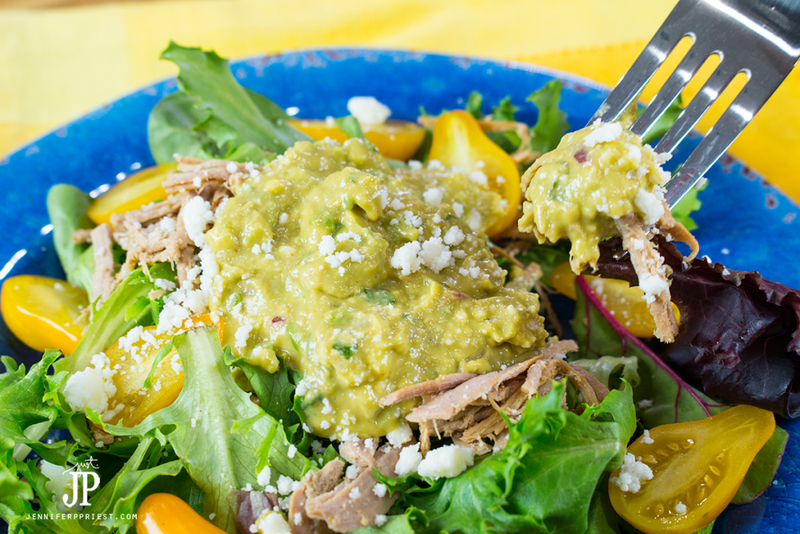 No dressing is necessary with the addition of the creamy guacamole. 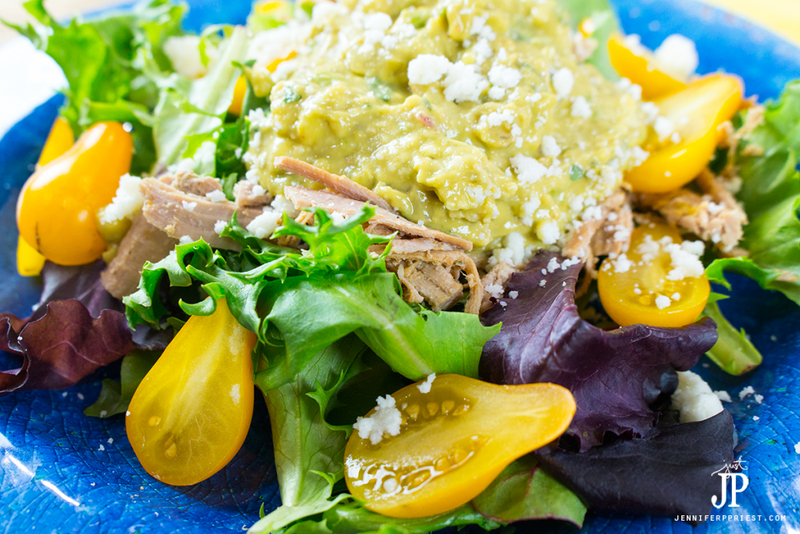 Click the box below to get the printable version of this shredded pork salad recipe. 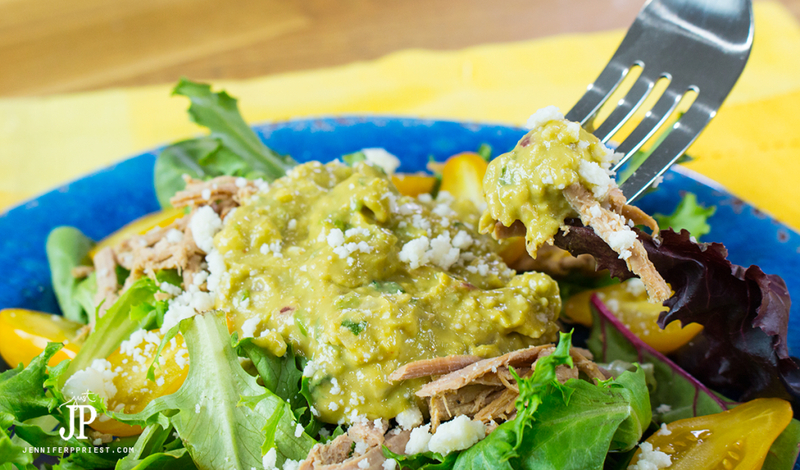 And easy no-dressing salad with shredded pork from leftover slow cooker pot roast. Layer the lettuce onto a plate. Scatter the tomatoes on the plate. Do you have a favorite salad recipe? I'd love to hear about it in the comments!